Disclaimer: We at 4 Down Territory strive to bring reliable, family friendly sports information, however some YouTube videos may contain adult content so viewer discretion advised. I’m not in the business of trying to dash anyone’s hopes or dreams. That’s why I put this motivational video in the preview for all you rabid RedHawk fans out there. Miami is rebuilding, and that’s ok. With Coach Chuck Martin at the helm, that rebuild could transition into decent teams sooner rather than later. And you know what? Miami has a real shot to improve this year. 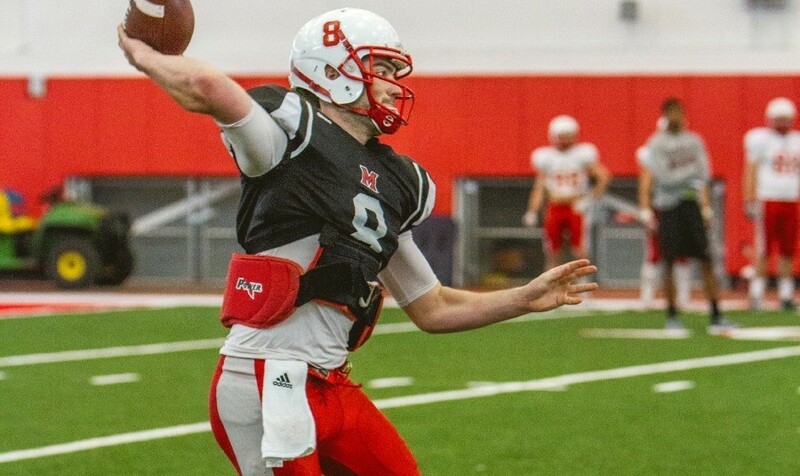 Quarterback play is the biggest question mark concerning this RedHawk offense heading into 2015. 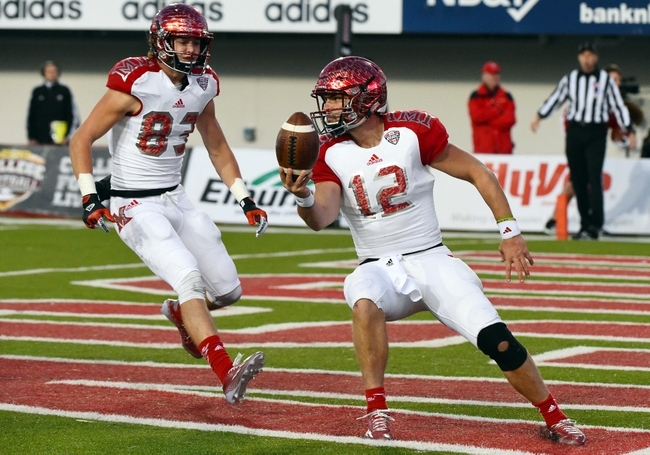 Their most experience returning signal caller is Drew Kummer (which even rhymes with newcomer!) who as last season’s backup attempted all of 10 passes. As of now, the two most likely candidates to win the starting job are Kummer and Redshirt Freshman Gus Ragland. Ragland was a Rivals two-star dual threat quarterback coming out of high school. Highly touted Freshman Billy Bahl could get into the mix, but it seems more likely that he will redshirt this year. The good news for Miami is that no matter who their gunslinger is, he should have a few adequate targets. The RedHawks did lose leading receiver David Frazier, but return a pair of receivers who each went for over 600 yards last season in Rokeem Williams and Jared Murphy. Williams and Murphy both averaged better than 14 yards a catch too, which should give this offense a little bit of explosiveness. Martin has also suggested the Williams, Murphy, and Sam Martin may also be used to add some pop to the running game as well. They might need it too, because the ground game doesn’t return as much. Spencer McInnis and Spencer Treadwell will likely shoulder the running game duties, and neither was much more than pedestrian last season. Kenny Young, who redshirted last season, is another player who will be in the mix for the starting RB gig. His scouting report is similar to Doug Martin’s, which admittedly would have sounded much more complimentary a few year’s ago, but Martin was highly drafted for a reason. Another issue with the ground attack is the loss of three starters on the offensive line who had combined for 93 career starts. The good news is they do at least return three linemen who have 10 or more starts under their belt, led by LG Trevan Brown with 31 career starts. Miami’s defense wasn’t great in 2014, but it was a halfway decent MAC defense. Also, they had some semblance of balance. Their numbers against the pass were a little better than the run, but neither were leaps and bounds ahead of the other. That should mean that with modest improvements they could see a reasonable jump in their defensive numbers. That should also be aided by the fact that Chuck Martin hit the recruiting trail hard in the offseason and managed to bring in several freshmen that could contribute immediately. This list includes players like Quinn Calgano, Nate Trawick and Junior McCullen just to name a few. Pair that with returning All-MAC LB Kent Kern, and there is reason to believe that the front seven will improve. It also helps to return your whole defensive line from a year ago, and two of three starting linebackers. The biggest hole Miami will have to fill is the loss of CB Quinten Rollins. Rollins picked off seven passes last year, compared with the rest of the team’s five. His most likely replacement will be Heath Harding, with Marshall Taylor filling the other corner spot, as he did last season. With a few breaks I believe the RedHawks could win 5-6 games, but the consensus is that they are still a year away. However, Chuck Martin is a good football coach and has recruited well, which should lead to improvement in the near future. They also ought to open the season on a confidence-building note with an opener against Presbyterian. If they can hang around with Wisconsin for a few quarters the following week, they might be able to parlay that confidence into MAC wins. 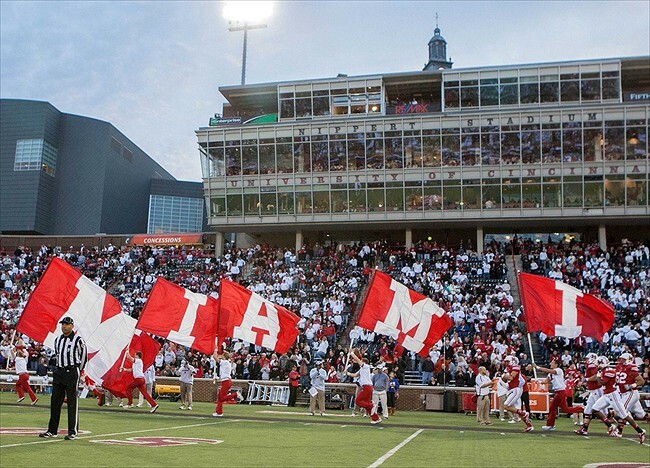 The RedHawks also have a great opportunity to finish strong as they end the season with three straight home games against Eastern Michigan, Buffalo, and Akron, before traveling to Massachusetts for the regular season finale.